When most people think of Germany and art, they think of the famous museums in Berlin and they think of the world-renowned Bauhaus art movement. There is a lesser-known artistic gem in Germany, tucked away in the western end of the country near where the borders of Germany, Belgium and the Netherlands intersect. While it's a relatively large city, it still doesn't typically make the usual top lists for art lovers to visit, which is a true shame. Partly due to its interesting cultural fusions due to the border proximities, Cologne is a burgeoning center of contemporary art, and there are more than 30 museums to visit, as well as hundreds of galleries, with new ones opening all the time. The Museum Ludwig is one of the most well-respected museums in Cologne, featuring a stunning collection that bridges a number of artistic sensibilities in the contemporary era, from pop art to surrealism and abstract art, as well as one of the largest collections of the works of Pablo Picasso in all of Europe. If more traditional European artwork is your style, visit the Wallraf-Richartz Museum, which hosts an equally impressive range of works dating from back to the 13th century up to the current artistic era. Most notably featuring works by Peter Paul Rubens and Rembrandt, there is something to satisfy every traditional taste, from Bosch's "Adoration of the Child" to "Langlois Bridge at Arles" by Vincent Van Gogh. There are also a number of Monet paintings, although the museum was recently forced to admit that a sixth Monet was a forgery when it was examined prior to restoration in 2008. 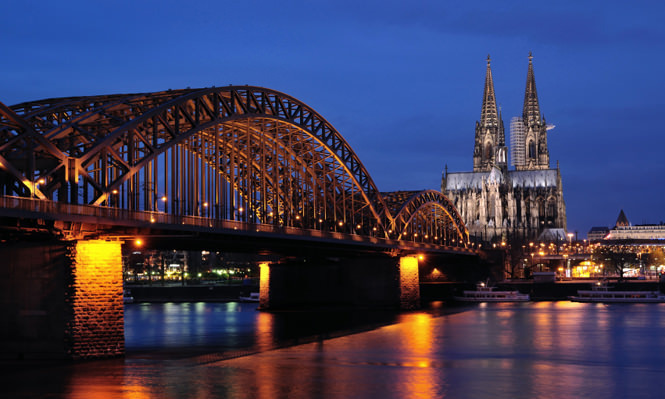 For those who prefer a different way to experience art, Cologne is recognized by many as hosting the world's original annual art fair, Art Cologne, which began way back in 1967 as Kölner Kunstmarkt. Open to the public, the fair runs for 6 days, and attracts upwards of 60,000 visitors to view contributions from galleries from around the world. This year, the Art Cologne fair will be running for a shorter timespan, from Thursday, April 10 to Sunday, April 13, 2014 - so if you're planning a visit, see if you can get a last-minute flight in time to visit the fair! Booking last minute can be a great way to save money, as airlines and hotels are eager to fill up any empty seats and rooms. What better way to celebrate spring than by a whirlwind weekend trip to Germany's beautiful artistic side?